Like humans if a Fish becomes stressed it is much more likely to fall ill so fish stress is one of the major causes of disease outbreaks in the pond environment. It is important to understand how fish are stressed, and how to prevent it to keep a happy and healthy pond. Reducing fish stress will cause them to be more active, show better colouration, grow and breed successfully. This will make your pond more enjoyable for you and your fish through promoting natural behaviours. Water is a more stable environment in all areas than air. Non aquatic creatures like us are designed to cope with rapid fluctuations in our living environment, whereas aquatic creatures will find it stressful to cope with rapid changes to their environment as they are not designed to do so. The most common cause of fish stress is poor water quality often caused by the build-up of fish and plant waste – after all fish live in their own toilet! The breakdown of this waste releases toxic chemicals like ammonia, nitrite and nitrate as well as causing fluctuating pH levels, these negatively impact your fish and create stress. 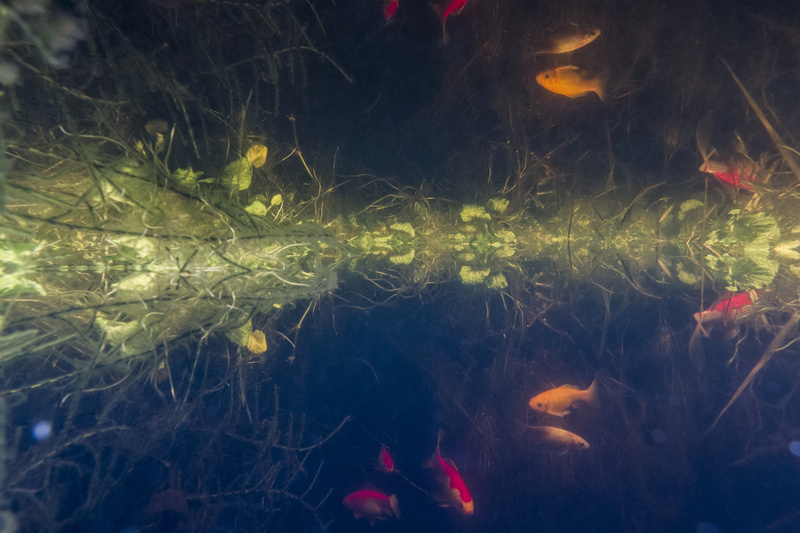 A fully mature and well maintained filter will process the fish waste safely and effectively but problems often occur in new ponds or in Spring when the filter is immature or if the filter is not well maintained. 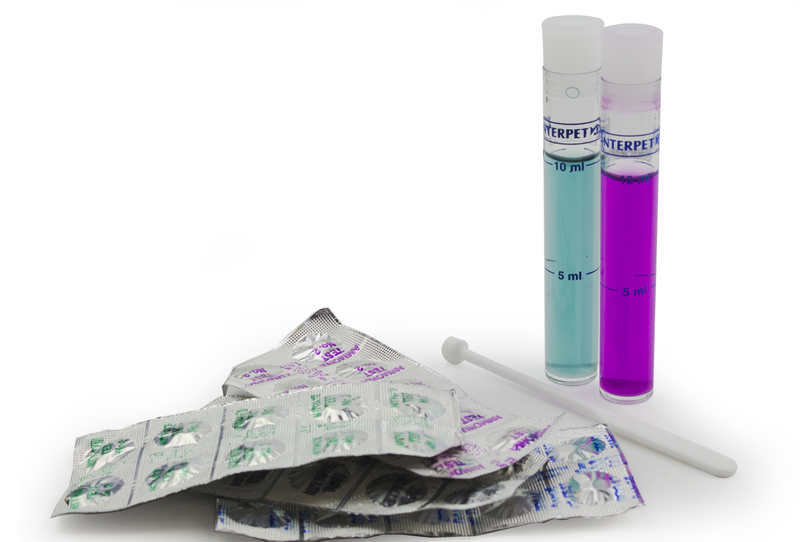 Water quality problems are not visible to the naked eye so the only way you can monitor them is with regular use of water test kits. If you maintain a stable, stress free, environment then your fish’s natural immune system will generally fight off the disease causing organisms like fungus, bacteria and parasites which are present at safe levels in even the cleanest of ponds. Fish waste levels – the presence of ammonia or nitrite will increase stress; actions should be taken to eliminate them. The presence of these toxic chemicals indicate a problem with your biological filter which should safely and effectively remove them. The filter breaks these down into less toxic nitrate – very high levels of nitrate cause algae and should be diluted by carrying out water changes. Temperature – although pond fish are in unheated water conditions, fluctuating temperatures can still negatively affect their health. Make sure, when moving fish, that they are moving to and from a similar temperature of water to prevent a shock to their systems. Outdoor temperatures are impossible to control, however it is important to take precautions at the heights of summer and winter to ensure there is sufficient oxygen in the pond. Using a heater in the winter to maintain an ice free area for gaseous exchange and increasing water flow and aeration in summer because warm water does not hold as much oxygen. Rapidly topping up the pond with a cold water hose will create pockets of very cold water, it is best to top up gradually with a low flow rate. Physical stress – rough handling of fish when netting them or garden predators like cats and herons add stress to the community as will excessive vibrations caused by people throwing stones into the pond or disruption to the ground surrounding the pond. pH – high pH of above 8.5 or low pH of below 6.5 for a community of pond Goldfish, will cause unnecessary stress, regular testing and water quality maintenance is important. Sudden changes in pH of more than 1.0 will also severely stress your fish – environmental pollutants can affect the pond’s pH including heavy rain and the run off from concreted areas around the pond. Regularly monitor the levels of pH in the pond to catch fluctuations before they become a significant issue. Environmental Pollution – the pond is an open environment and can be easily polluted by a variety of garden chemicals (herbicides/pesticides), chemical pollutants introduce through run off from rain, detergents, pollutants in the air or leaching from concrete garden structures. 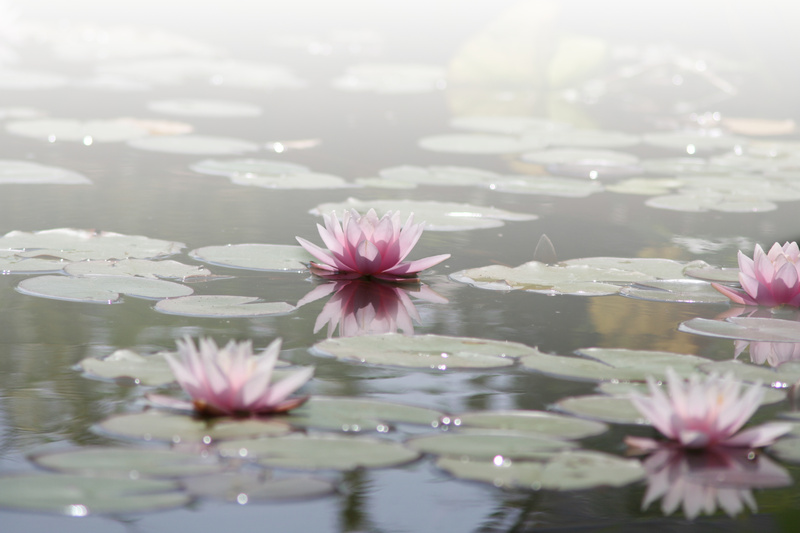 Be aware of the products you are using around the pond, taking appropriate precautions to prevent contamination and consider the pond’s position when starting a new pond to avoid pollutants becoming an issue. Oxygen – A common sign of low oxygen levels is your fish gasping at the water’s surface. Oxygen levels can be reduced by: Poor water circulation; high water temperatures; high levels of organic waste; oily food coating the surface and some Fish medications. Good pond maintenance should minimise organic waste levels and you should ensure high levels or aeration and circulation when water temperatures are high during summer, or when using treatments. You can increase surface movement by introducing features like waterfalls and fountains. Air pumps will increase circulation and break up the surface of the water, they will also serve as a back-up if your pump were to stop. When plant levels are at their maximum during the summer months, and water temperatures are the highest, oxygen will deplete at night when plants are using oxygen rather than producing oxygen. This will be the time of most stress in the pond. 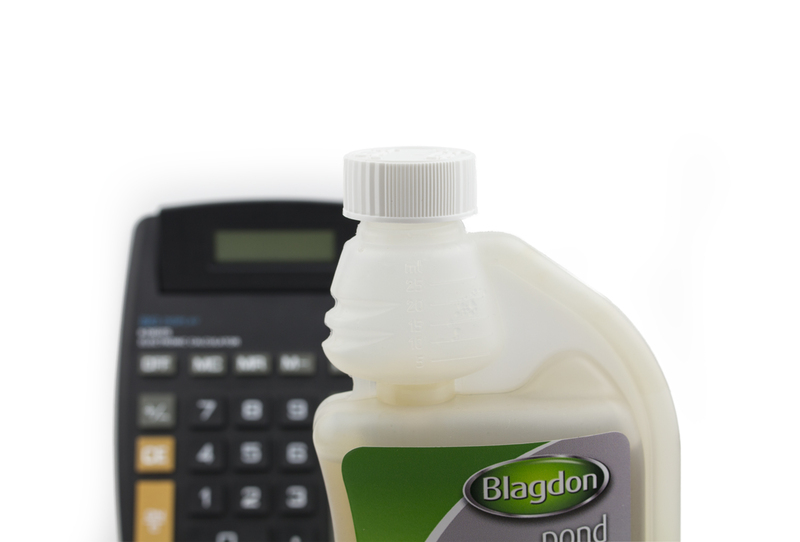 adding a tonic salt like Blagdon’s Pond Guardian Pond Salt. This physiological salt helps fish to manage their internal salt levels more effectively freeing up energy for their immune systems to fight disease more successfully. Salt also provides anti septic properties. We always advise using Pond Guardian Pond Salt when using Blagdon treatments to support the fish and increase treatment success. Carry out a preventative treatment of Stress Away this will negatively impact the natural population of fish disease organisms in the pond to help the stressed fish whose immune system is not working fully. Understanding the Pond Environment Will my fish survive winter if the pond freezes?